WASHINGTON — Congressional leaders introduced a two-week funding bill Monday to avert a partial government shutdown over President Donald Trump’s border wall, as business in the Capitol came to a standstill for ceremonies honoring former President George H.W. Bush. The stopgap measure would keep the government funded through Dec. 21, two weeks after a Friday deadline when funding for a portion of the government, including the Department of Homeland Security, is set to expire. The measure comes as Trump kept up pressure Monday on congressional Democrats to fund his promised border wall and threatened other actions to deter illegal immigration as negotiations continue. 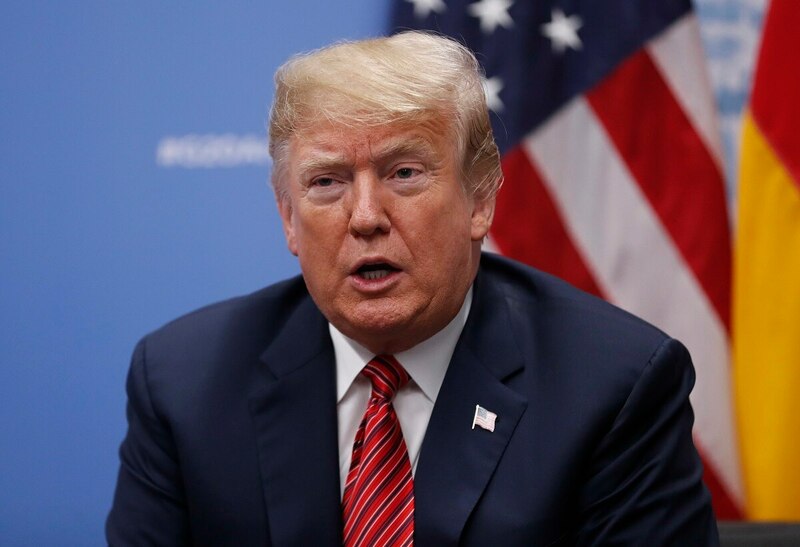 "We would save Billions of Dollars if the Democrats would give us the votes to build the Wall," Trump tweeted without evidence Monday. "Either way, people will NOT be allowed into our Country illegally! We will close the entire Southern Border if necessary." House leaders canceled roll call votes this week for ceremonies honoring Bush, who died Friday, meaning an extension will be needed to avert a funding lapse. While Democrats prefer a one-week extension, they signaled they would not object to a two-week delay. Trump made clear over the weekend he would agree to a short-term funding extension to allow for ceremonies honoring Bush. Democrats have little interest in providing the $5 billion Trump wants for the southern border, and with the party set to take control of the House in the new year, opposition to the wall has hardened. Even some Republicans balk at spending more than the $1.6 billion for fencing and other security improvements already provided. But Trump has signaled he's ready to fight for the money as one of the last big-ticket items of the GOP-led Congress before Democrats take over the House following a decisive victory in the midterm elections. The president invited the top Democratic leaders, Sen. Chuck Schumer of New York and Rep. Nancy Pelosi of California, to the White House for a meeting Tuesday, but Democrats asked to postpone it because of Bush's funeral. The meeting has been tentatively rescheduled for Dec. 11, said a White House official who was not authorized to speak publicly and spoke on condition of anonymity. Trump told reporters on Air Force One on Saturday he would be willing to sign a two-week funding extension. "I would absolutely consider it and probably give it," he told reporters. Schumer has suggested one option would be for Trump to accept the Senate's $1.6 billion bipartisan border security package, along with the remaining $1.3 billion from the current fiscal year that has not yet been spent. The country shouldn't have to endure a shutdown over "Trump's temper tantrum," Schumer said last week. While Trump has pushed Democrats to build the wall, Schumer and Pelosi face growing pressure from the party's liberal wing to block it. A group of border-state House Democrats sent Schumer a letter last week expressing opposition to any funding for the wall, which they said would separate local communities and antagonize Mexico. Rep. Henry Cuellar, D-Texas, called the wall "a 14th-century solution to a 21st-century problem" and suggested that money would be better spent on more Border Patrol officers, technology and equipment. Rep. Vicente Gonzalez, D-Texas, said, "We need all hands on deck to oppose frivolous border wall spending proposals. That includes Leader Schumer." Besides the funding bill, Congress is considering a sweeping criminal justice package with sentencing reforms, a farm bill that's a top priority of Senate Majority Leader Mitch McConnell and other items before they adjourn for the year. The Kentucky Republican told reporters over the weekend that it's up to Trump "to do a deal with the Democrats." He said, "I think that's the path to getting a signature and avoiding a government shutdown." Nearly three-quarters of the federal government has been funded for the fiscal year that runs through Sept. 30, 2019, but a stalemate remains over wall funding and several remaining federal agencies, including the Justice and State departments. Federal funding for those agencies is set to expire at midnight Friday.